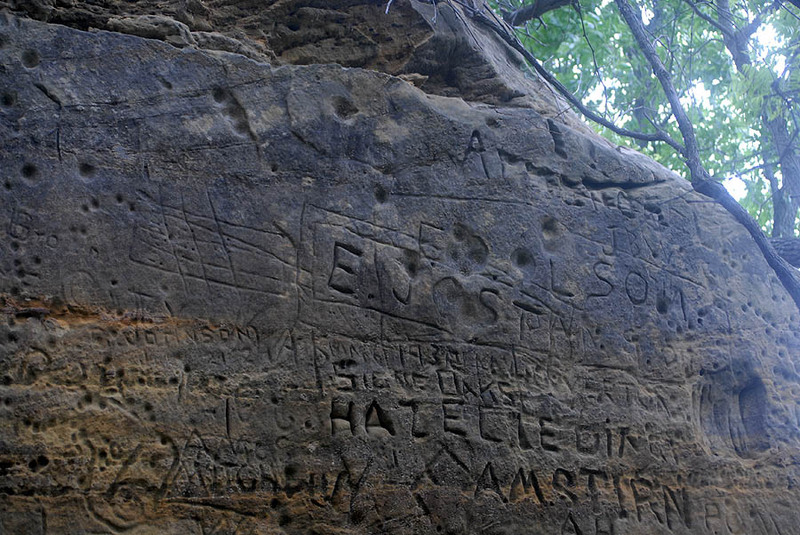 It is very difficult to see the Native American petroglyphs surrounded and overlapped by the 19th century graffiti. This pattern of straight lines may represent a row of lodges. 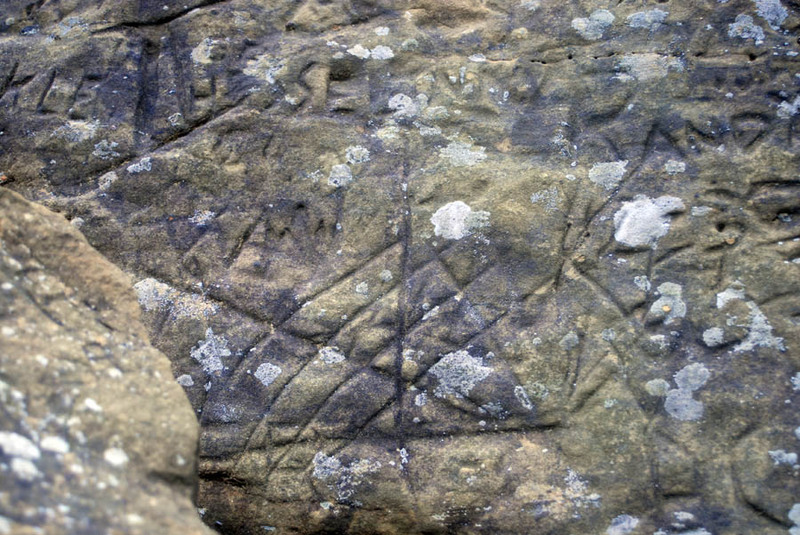 This petroglyph measures 26 cm by 26 cm. 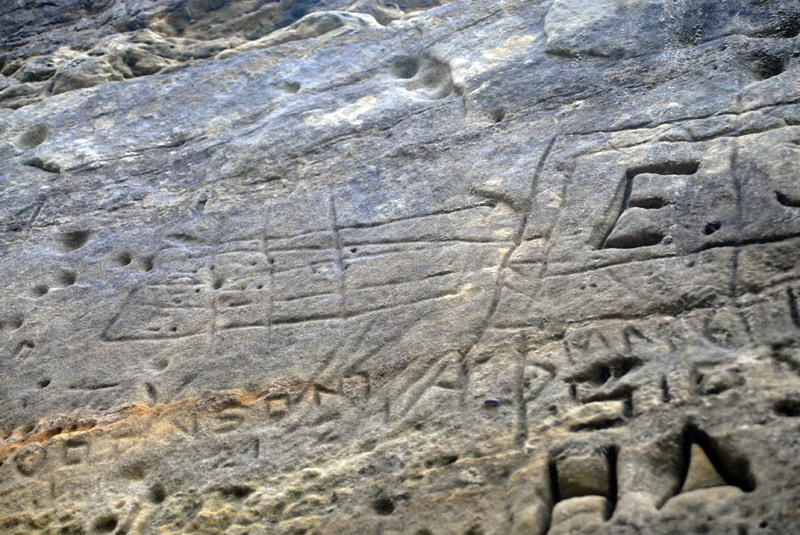 Faint petroglyph lines situated in the center of the photograph appear to be Native American. This panel is situated 2 meters above the ground surface and measures 1.5 meters in length. Closeup on the left hand side petroglyph panel. 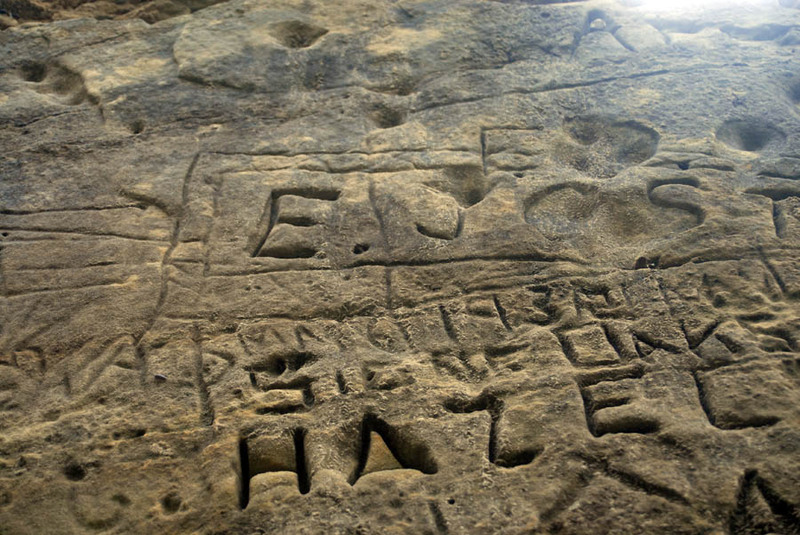 Closeup of the central portion of the panel over early 20th century graffiti. 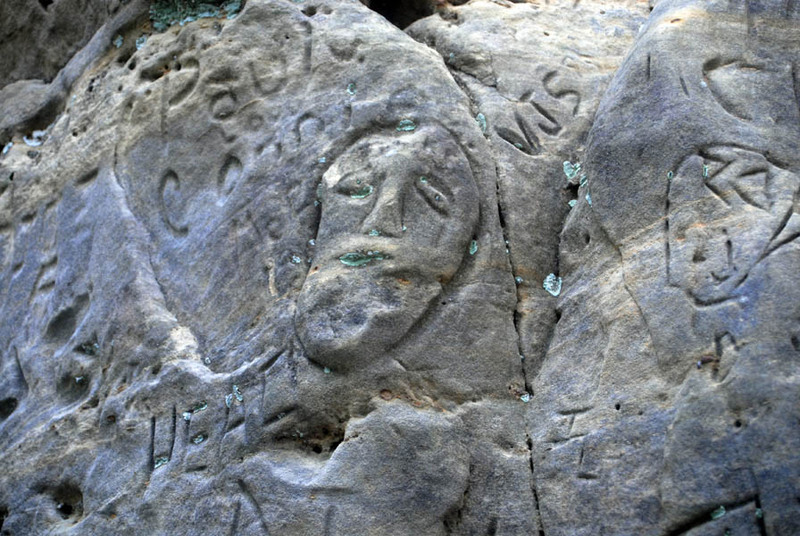 Petroglyph of a face or mask - probably Native American.